Happy 4th of July, everyone! What a festive holiday our Independence Day has become. I’m so glad that this year the rain has subsided so we’ll get to watch fireworks out on the lake. Woot! I’m grateful for our freedom in this country, but even more grateful for our freedom in Christ. Praise God for the sacrifice of His son to live the life we should have lived and die the death we should have died. Thank Him for raising to life again so that we can have fullness of life and freedoms unparalleled in this life and the life to come. My heart is full today! What better way to celebrate this all-American holiday than with an all-American dessert. 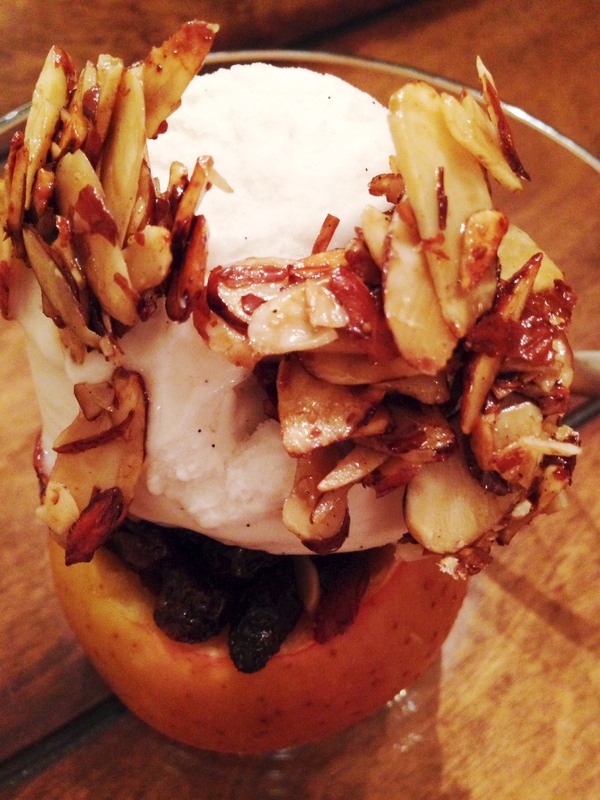 Baked Apples! 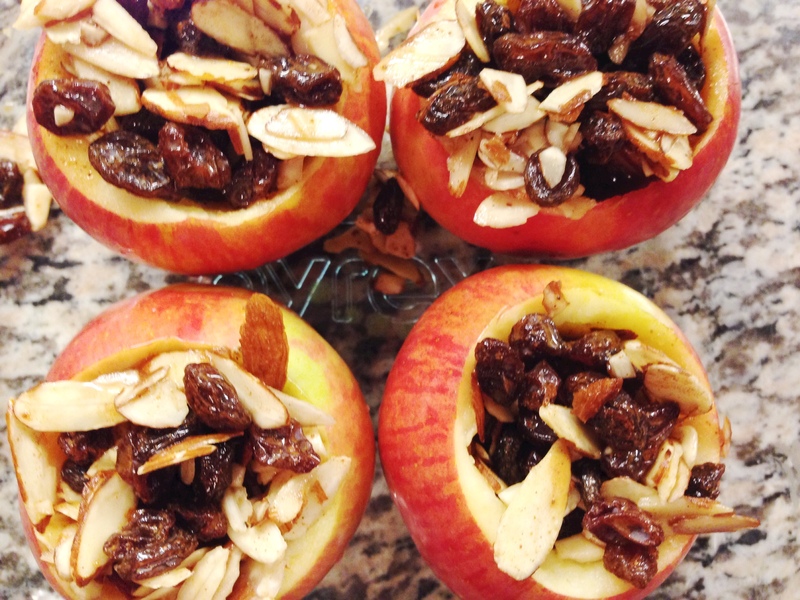 These little beauties are simple to create and will tantalize your tastebuds for sure! 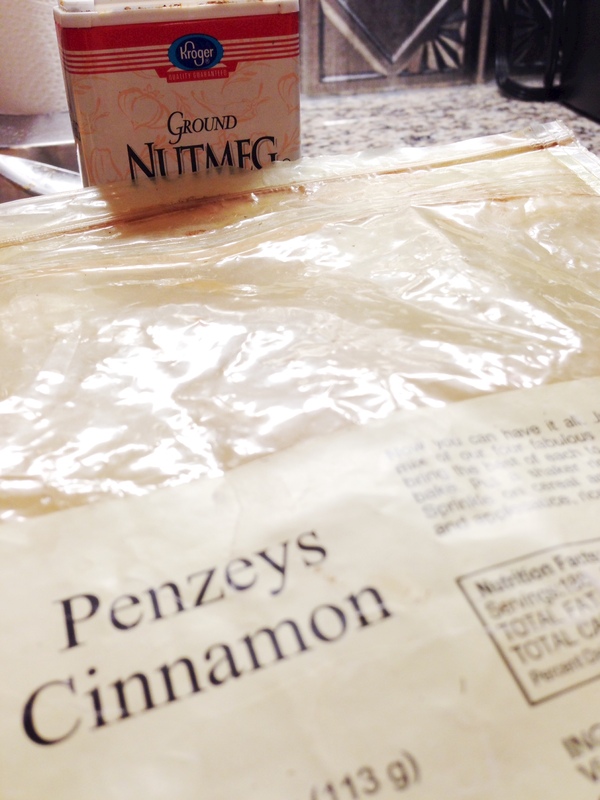 First, preheat the oven at 350 degrees. 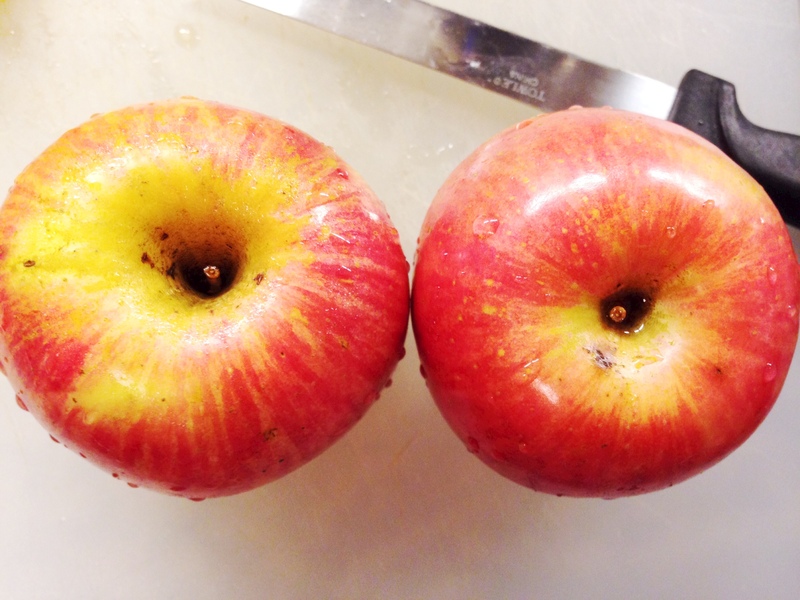 Core and hollow out the apples, and place in a baking dish. 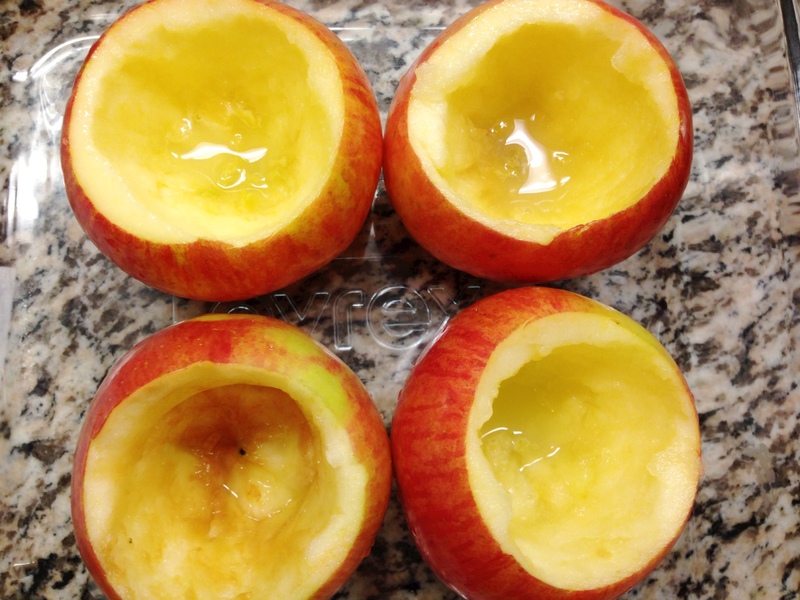 After each apple is hollowed, immediately baste the inside with lemon juice to keep it from browning. 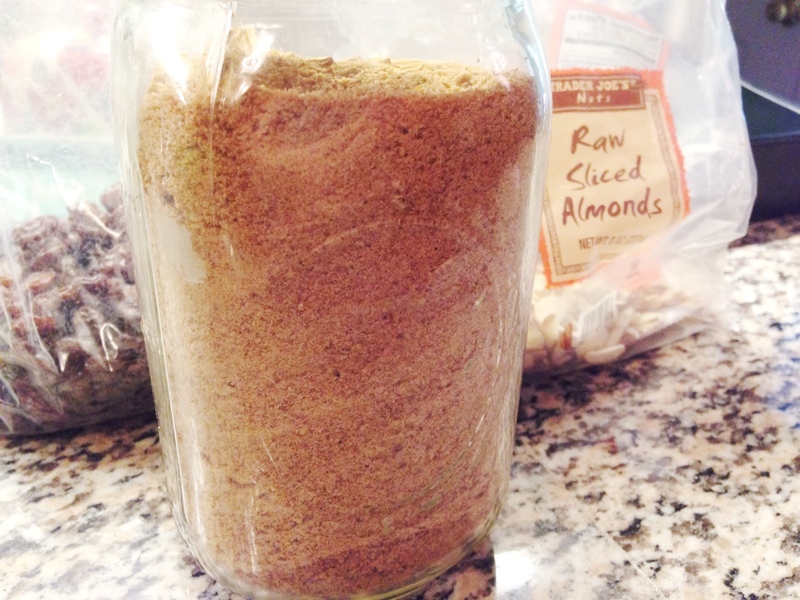 Next, mix 3/4 cups of the slivered almonds (save the other 1/4 cup for later), 1/2 cup of apple juice (save the other 1/2 cup for later), raisins, coconut sugar, cinnamon and nutmeg. 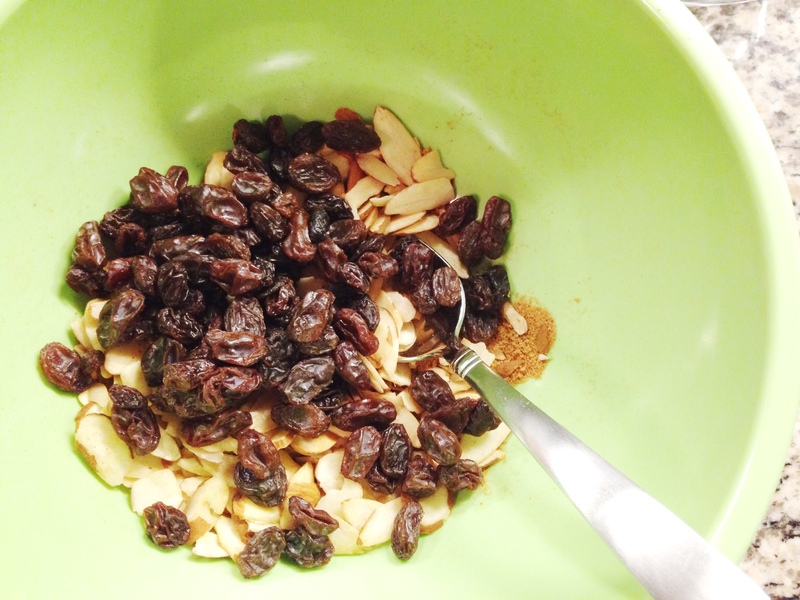 Make sure the raisins and almonds are coated well with the other ingredients. Then, fill each of the apples with the mixture and pour the remaining apple juice in the bottom of the baking dish. Place in the oven for 40-45 minutes to bake (keep an eye on them around 30 minutes in to make sure they aren’t burning, and lower the temp to 300 if needed for the remainder of the time). While the apples are baking, take the remaining slivered almonds and throw them in a pan on the stove with 1 tblsp of the coconut sugar and 1 tblsp of water to glaze the almonds. This will be your topping. 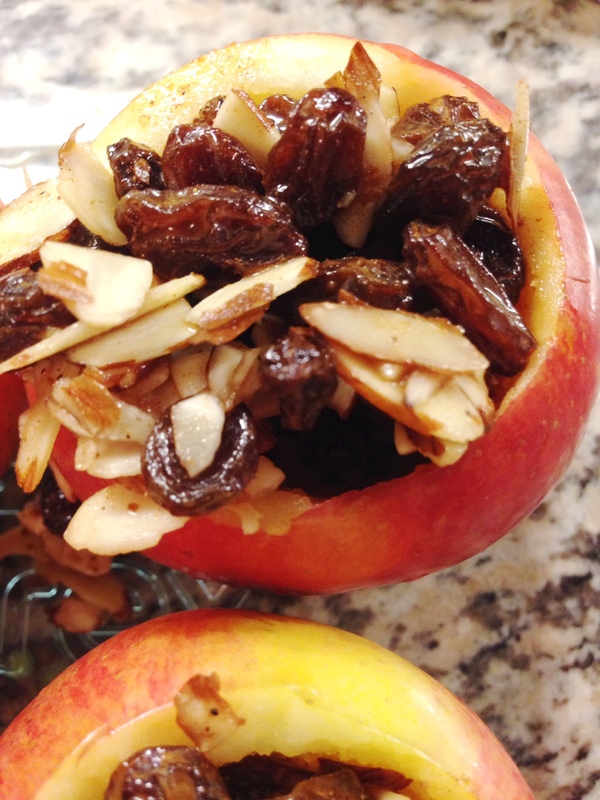 Once the apples are baked, pull them out of the oven and let them cool for 5 minutes. Put them in a bowl with a scoop of vanilla coconut milk ice cream (or ice cream of your choice! 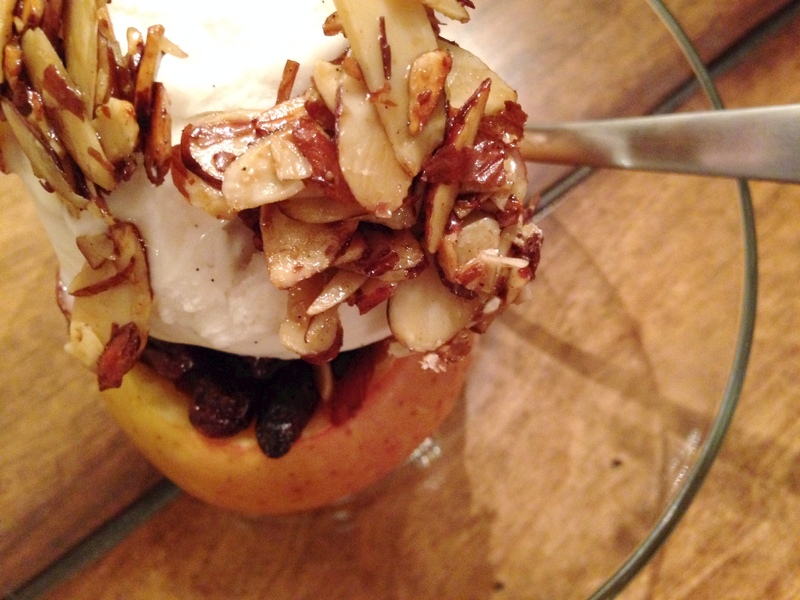 ), top with the glazed almonds and eat it up! Have a fantastic Independence Day!